Do You Receive Bail Back After Your Case? When hiring a bail bond agency for a surety bond, you’ll pay a premium – a percentage of the total bail amount. That premium, however, is non-refundable. You lose that money. Every cent goes towards the agency and the agent’s time and effort to secure a quick jail release. 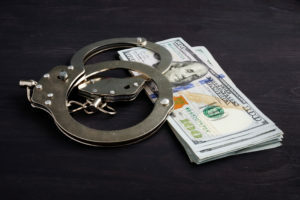 If you have the money available to pay bail, that money will be returned to you if the defendant makes all of their court appearances on-time. If the defendant does not appear in court, however, the money is forfeit. You’ll never see a dime from the payment. Also, if the defendant is arrested once more while on bail, the money is forfeit. If the defendant is found not guilty, the money is released. But if the defendant pleads guilty, the bond will be released at the sentencing. If you managed to acquire a property bond, meaning you offered the total value of your home or vehicle to the court, it is similar to a cash bond. The court can then legally seize your property if the defendant does not appear in court on the required dates. Once the trial is complete, and all court dates were met, the bond is released. Nothing is owed, but nothing is technically returned either. Secure a quick jail release with 24/7 bail bond services from Teton Bail Bonds. Give us a call at 208-456-4357 (Idaho) or 307-413-6809 (Wyoming) today!